This year the season of shadows is being ushered in with a large dose of kid friendly “scares.” The likes of Hotel Transylvania, ParaNorman, and Tim Burton’s Frankenweenie, instantly reminded me of a favorite film of similar demeanor, 1967’s Mad Monster Party. 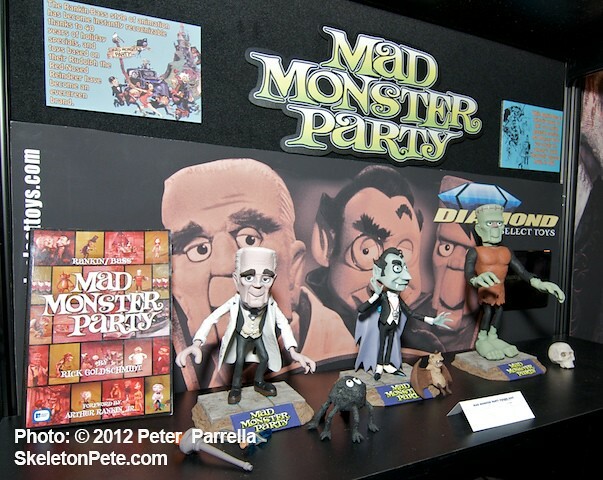 Created by Arthur Rankin and Jules Bass, whose most famous productions like Rudolph, the Red Nosed Reindeer have become Christmas season perennials, Mad Monster Party was a stop motion animation monster rally of epic proportions. 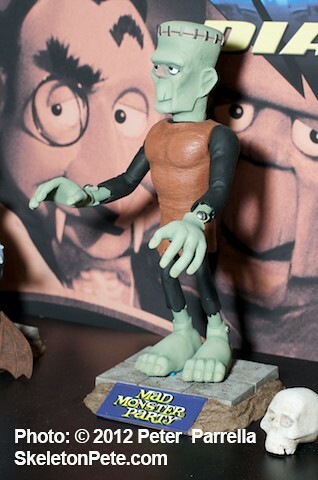 The film features character design by the legendary Jack Davis, the voices of Boris Karloff and Phyllis Diller, and its plot-line, co-authored by Mad Magazine’s Harvey Kurtzman, plays like a mash-up of Universal’s Abbott and Costello Meet Frankenstein and AIP’s The Ghost In The Invisible Bikini. Its original poster art was rendered by none other than Frank Frazetta in the multi-character chase motif similar to his Night They Raided Minsky’s, Fearless Vampire Killers and After The Fox advertisements. Though the featured tunes don’t reach the classic repeatable nature of Rankin/Bass Christmas songs, Maury Laws score captures some late 60’s swinging Pink Panther-esque moments. 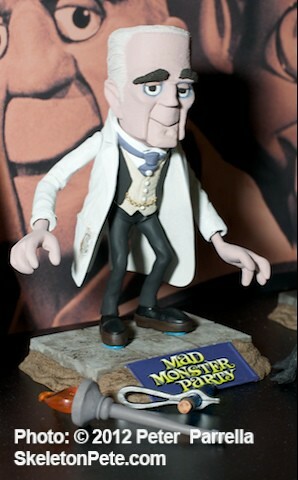 Mad Monster Party is a very fun guilty pleasure that should be nestled in your pile of seasonal viewing musts. It is unquestionably the great grandaddy of Tim Burton’s The Nightmare Before Christmas. The Blu-Ray edition was just released at the beginning of last month with plenty of extras. Diamond Select Toys will release their first wave of 7 inch character figures just in time for Halloween. Diamond promises additional characters down the line. 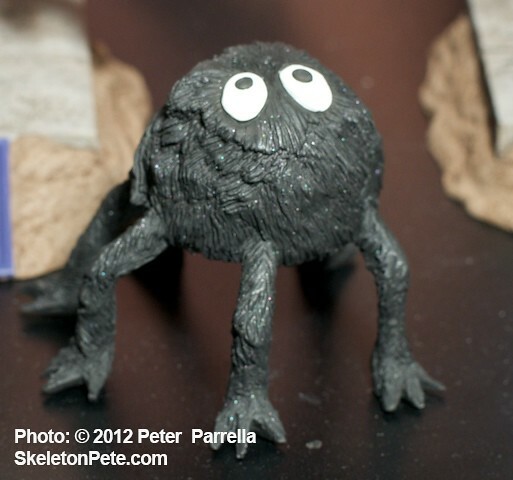 Hopefully the wiry Gillman is on the short list. Of course anyone who played in a group called The Skeleton Crew (that would be me) is chomping at the bit to get a guitar wielding skeleton band member. 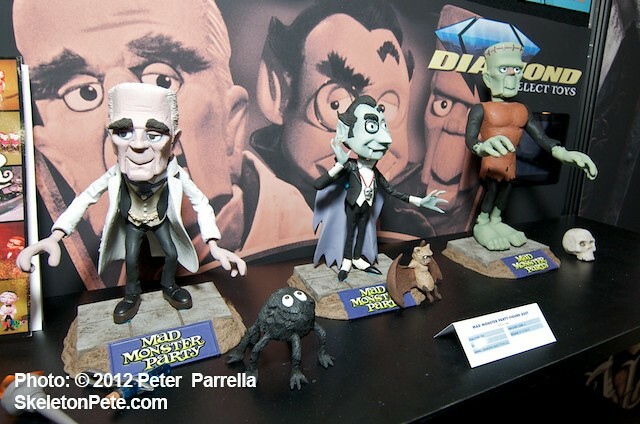 The final word on all things Mad Monster Party can be read in Rankin/Bass aficionado Rick Goldschmidt’s book. It has just gone into its second printing and you can order directly from Rick’s Rankin and Bass website. He will even specially inscribe it if you like. 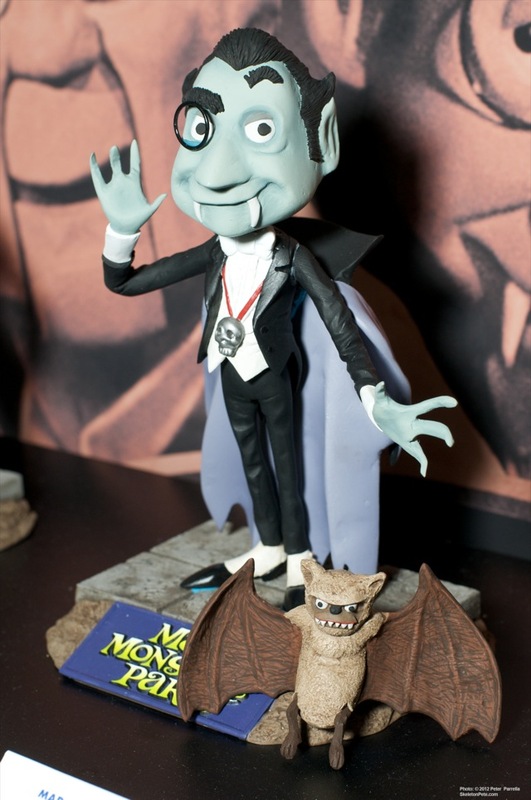 I loved this movie and highly recommend it to any fans of classic Horror and campy animation. In my humble opinion, action figures or even simple figurines for this top notch fun flick are long overdue. Diamond Select has done a top drawer job of these for sure. I need to watch this film again and maybe even look into this book. Kudos.